Connecting people to their forever homes can be a very rewarding career, but it takes some serious study to get there. All states require real estate agents to pass a rigorous exam to prove their understanding of the necessary skills and principles before they can show a single home. And before you can take the exam, you have to complete a state-approved education course. Every state has its own requirements, so it can be difficult to know where to begin. We put together this guide to the best real estate exam prep courses to help simplify the process and start you off on the right foot. Our research team looked at six major real estate exam prep companies that offered courses across the nation. Our first step was to rate them based on availability, comprehensiveness and effectiveness. Then, we checked out what former students and industry experts had to say about the programs. That narrowed our field to our three finalists. We dug deeper into these, exploring the course materials, instructor support and any guarantees the company offered to come up with our final ranking. Kaplan Real Estate Education’s excellent pass rates, interactive programs and high praise from students made it the obvious number-one choice. Depending on where you live and how you prefer to learn, you may find one of our other recommendations to be a better fit. Check out all of our reviews below to learn more about the states each company serves and what their programs have to offer. Our top three picks are listed below, as well as the other companies we considered. Click on the links to learn more about each one and to view the available courses on the companies’ websites. In addition to our top picks, we also looked at three other real estate exam prep companies, but they didn’t make our final cut. We discuss them briefly below. 360Training.com: The company offers affordable real estate prep courses in 12 states (CA, CO, FL, GA, MI, NV, NY, OK, SC, TX, VA and WA). It could be an option for you if you live in one of these states, but we required wider coverage in order to crack our top three. Its pass rates were also notably poor compared to the other companies we looked at. Real Estate Exam Scholar: It provides fantastic real estate exam prep resources, including over 1,000 practice questions, flashcards and 25 practice tests, for only $29. All material is available online and through the company’s mobile app. While we recommend it for additional practice, we couldn’t put it in the top three because it doesn’t provide the required instructor-led education hours necessary to obtain your real estate license. VanEd: VanEd provides a comprehensive overview of the national portion of the real estate exam, but it only covers the state portion for Colorado, Oklahoma and Texas. This could be a solid option if you happen to live in one of these states, though. Its average passing rates weren’t far behind the top three. There are thousands more real estate exam prep providers we didn’t consider because they only served a single state. One of these could be a better choice for you if you’re not happy with any of our top picks or they simply don’t serve your area. Check with your state’s Real Estate Commission for a full list of state-approved exam prep companies. We chose the best real estate exam prep companies based on how well they performed in the following categories: accessibility, effectiveness, study materials and support. All states require aspiring real estate agents to complete a certain number of education hours following a state-approved curriculum. The Real Estate Commission maintains a list of all exam prep companies whose programs count toward the educational requirement. It’s important to make sure the provider you choose is on this list before you hand over any money. The last thing you want to do is pay for a program that doesn’t prepare you and doesn’t count toward the state requirements. All of our finalists serve at least 19 states. Real Estate Express covered the widest territory with courses in 25 states and practice exams for 14 more. We also took course formats into account. Some students prefer to study independently while others like to learn from a teacher. Classroom courses are available with some providers, though this isn’t an option if you’re far from the company’s office. In the interest of providing the most useful recommendations to the widest range of students, we made sure all of our top picks provided online courses for students who live in rural areas or who don’t have the time to attend an in-person class. Four states — Alabama, Colorado, Texas and Washington — publish data on the average pass rates for state-approved real estate exam prep courses. We compared these numbers, accounting for differences in each state’s average passing rate, to determine which programs best prepared students for the exam. Then, we surveyed former students to learn more about what they thought of the courses and whether they provide an adequate level of preparation for the exam. Kaplan won on both counts, garnering considerable praise from students and maintaining an average pass rate of just under 70 percent. Most prep courses include textbooks, a question bank, section quizzes and full-length practice exams. Practice exams are the most important of these because they give you a sense of the time constraints and an accurate estimate of how you’ll do on the real exam. Taking these throughout the course is a good way to track your progress and to help you home in on the areas where you need more work. Then, you can use the question bank to target these question types until you master them. You should be able to reach out to your instructor at any time to get your questions answered. All of our top picks will respond to emailed questions, usually within 24 hours. Kaplan takes things a step further with its weekly interactive study groups. This is the time for you and your classmates to ask any questions you have and go over any parts of the lessons you didn’t fully understand. Our other top picks, Career Webschool and Real Estate Express, demonstrate their support through a course guarantee that will either give you a refund or pay for your exam retake if you don’t pass. There are certain criteria you must meet, however, in order to be eligible for these guarantees, so read the fine print before you sign up. The cost of real estate exam prep courses varies considerably. We found no correlation between the state served and the cost of the prep course, and even within the same company, the cost of the same package differed significantly. California residents could pay anywhere from $79 to $499 for a basic real estate prep course, and Real Estate Express students in Minnesota could be charged over $250 more for the entry-level package than Michigan residents pay for the top-tier plan. If price is a major factor in which prep course you choose, it’s best to do some research to see which company offers the best rates and resources for your state. Real estate exam prep courses come in three formats: Self-Paced, Live Online and Live In-Person. Each has its own advantages and disadvantages, and the right one for you depends on your preferences, location, budget and schedule. They’re listed below in order from least expensive to most expensive. Self-Paced: You buy the course materials and study them at your own pace. Live Online: You join a virtual classroom and learn from a remote instructor. Live In-Person: You travel to a physical location and learn in a traditional classroom. A self-paced course is a good fit for independent learners who prefer to study at their own pace. It may be your only choice if you don’t live near an in-person location. Self-study courses can include physical or online study materials or a combination of the two. Live online courses work best for students who prefer live instruction, but don’t live near one of the company’s in-person locations. Unfortunately, these courses are hard to come by for real estate exam prep. A live in-person course is a great fit if you live near an exam prep company’s locations and you prefer learning from an instructor. It’s easier to get assistance when you need it, but you have less say over when and how you learn. Best for effectiveness and comprehensiveness. Kaplan is a test prep giant, and its real estate exam prep courses make it easy to see why. It’s the only one of our top picks to provide live classroom courses for students, and even its online students have plenty of opportunities to interact during the weekly study groups and instructor-led review sessions. Both types of courses have earned a lot of positive feedback from students, and its pass rates prove the effectiveness of its methods. Price varies widely by state, though Kaplan is typically more costly than our other two top picks. Kaplan Real Estate Education serves 20 states nationwide, making it second only to Real Estate Express in terms of coverage. It offers self-study and live in-person courses, though the exact programs vary by state. There’s even live online courses in a few states, like Texas, so this is an option worth pursuing if you don’t live near one of the company’s centers in Austin, Dallas or Houston. All programs, except the Home Study course, cover both the national and state portions of the exam and include textbooks, question banks and full-length practice exams. You will have regular access to trained instructors, no matter which program you choose. Its On Demand courses include weekly study groups where you and your classmates can get answers to questions and clarify any misunderstandings. There’s also 39 hours of instructor-led review included with all courses except the Home Study program. And if you really want to go the extra mile, the Career Launcher package includes a two-day bootcamp plus four weeks of follow-up coaching to teach you the business skills you need to thrive in real estate. Email support is also available to all students, and you’ll usually receive a reply within 24 to 48 hours. You get six months’ access to the course materials with your purchase. After that, you must pay the full price again to extend your membership. Unlike our other top picks, Kaplan makes no guarantees about its programs, so you won’t get a refund if you fail the exam. Based on what Kaplan students and their test scores have to say, however, this shouldn’t be an issue. The majority of them praise Kaplan’s comprehensive programs and say they would recommend the courses to a friend. Kaplan offers real estate sales agent courses in the following 20 states. Those marked with an asterisk (*) indicate that real estate broker exam prep courses are available as well. Career Webschool’s self-study real estate exam prep courses are available in 19 states. Its programs can’t match Kaplan in terms of interactivity, but it holds a slight edge when it comes to flexibility. The study materials enable you to target specific topics and in certain states, you can choose to purchase only a portion of the course material instead of the whole thing. Like Kaplan, you pay for six months’ access to start. If you need more time, however, Career Webschool will give you up to three free 60-day extensions, so you can study until you feel confident enough to tackle the exam. Career Webschool has received a lot of positive feedback from students because it breaks information down into simple chunks and quizzes you regularly to help you improve your recall. The online lessons automatically save your progress, so you can stop whenever you need to and return whenever you want. All courses come with textbooks that give a comprehensive overview of the national and state exam sections as well as a MathMaster supplement for extra practice with the real estate math that’s likely to come up on the test. “The Works” packages also include 1,000 practice questions and two practice exams. Unfortunately, only one of these exams is for a real estate sales agent. The other is for a real estate broker, which won’t be very useful to you if you’re not studying for that exam. Career Webschool’s practice tests are also only 100 questions, which is shorter than most states’ exams. The Virtual Study Program is similar to Kaplan’s instructor-led review. Each week, a trained instructor will discuss key real estate concepts from ownership and property rights to valuation practices in an online webinar. The webinar topics follow the order of the study material in your textbook, so this is a great way to reinforce what you’ve read and clear up any confusion. Email support is also an option if you have any questions outside of the webinars. Instructors are prompt and usually respond within 24 hours. Career Webschool doesn’t provide a money-back guarantee and there is no demo course to try before you make your purchase. The company does offer a Quality Guarantee that promises to pay for the cost of your test retake if you pass Career Webschool’s course exam with an 80 percent or better and then fail your state test. You must take the state exam within one year of completing your prep course in order to be eligible for the guarantee. The 19 states that Career Webschool serves are listed below. States with real estate broker exam prep courses are marked with an asterisk (*). Real Estate Express provides pre-licensure real estate courses in 25 states nationwide. Its Exam Prep Master program includes quizzes and full-length practice tests for 14 more, though this program doesn’t count toward your state’s education requirements. Despite its widespread coverage, we couldn’t feel confident making it our top recommendation because student feedback and pass rates were far below our other top picks. Real Estate Express’ course materials are all available online, so you can learn at your own pace from anywhere there’s an internet connection. There are four course levels to choose from, though they may not all be available in your state. All of them include an e-textbook, a real estate math supplement, and access to 24/7 assistance through the student forum and email. Every package covers the full educational requirements for your state, and some break these down into several sections that you can purchase individually. A few state courses, including California’s, even give you a choice of electives. Students enrolled in the higher level plans get all of this, plus live Q&A sections with trained instructors and the Pass or Don’t Pay Guarantee. If you complete the course with an 80 percent or better on your final exam, but you fail the state exam, you will get a full refund. Advanced Pro members also receive a free one-year membership to CE PLUS, Real Estate Express’ sister site. Here, you can take professional development courses, attend webinars and learn new skills to help boost your real estate sales. Everything about Real Estate Express looks good on paper, but students tell a different story. There were a few complaints about errors in the study material and difficulty getting help from instructors. Real Estate Express also did the worst of our top three in terms of exam pass rates. On the other hand, there are some students that say they they really enjoyed the course and found it helpful and easy to understand. If you’re unsure if Real Estate Express is right for you, you can always test it out for yourself. The company offers a seven-day money-back guarantee, so if you’re not satisfied for any reason, you’ll receive a full refund. Real Estate Express provides real estate sales agent courses in the 25 states listed below. Real estate broker exam prep courses are also available in the states marked with an asterisk (*). Our goal is to create a comprehensive guide to the real estate exam. We spoke with current and former students to learn what questions they had, and we’ve answered some of the most common ones below. If there’s anything we missed, feel free to let us know. For state-specific questions, please contact your state’s Real Estate Commission. What educational requirements must I meet in order to take the real estate exam? This depends on where you live. Massachusetts requires only 40 course hours while Texas requires 180. The exact contents of the exam also vary by state. Click on the links below to learn about the education requirements as well as the other qualifications you must meet in order to obtain your real estate license in your state. How do I schedule my real estate exam? Once you have completed the required education hours for your state, you’re eligible to take the real estate exam. Your state Real Estate Commission may administer the test themselves or they may partner with a testing company like Pearson VUE. Information about how to schedule and available testing dates can be found on your state Real Estate Commission website. You must register on the website prior to the exam date and pay the examination fee. Failure to do so will render you unable to take the exam at that time. Once your exam is scheduled, you can reschedule or cancel through your online account. Certain states limit when you must register or cancel by, but in most cases, you can do so up until a day or two before the exam. If you cancel your exam after the deadline or fail to show up on test day, you’ll forfeit the exam fee. All states require you to bring a valid, government-issued photo ID with you to the testing center. You must have this or you won’t be permitted to take the exam. No other personal items are allowed in the testing room. Your testing administrator will provide a safe space for you to store these items for the duration of the exam. What does the real estate exam cover? The real estate sales agent exam is broken down into two sections: national and state. The national section covers general real estate principles that apply to every part of the country. It includes topics like classes of property, government land rights, types of mortgages and methods of estimating a property’s value. There’s also a math portion that deals with the basic calculations you’ll need to perform regularly as part of your job, including depreciation and property tax calculations. The state portion of the exam focuses on your state’s specific laws and rules. The contents and length of this section varies from state to state. In general, it focuses on property and tax laws that you’ll need to know to operate legally and effectively as a real estate sales agent or broker in your state. Real estate broker exams have the same two-part structure as the sales agent exam, though the content is a little different. A broker license is necessary to work independently and to hire real estate agents to work for you. The exam covers many of the basic concepts tested in the sales agent exam as well as business law, real estate investments and property management. These additional areas of study are designed to give brokers the knowledge they need to maintain a large portfolio of properties and effectively manage other real estate sales agents. What if I fail the real estate exam? The real estate exam is a multiple-choice quiz usually taken on the computer, though paper tests are available in areas where a computer test is not possible. The number of questions and the required percentage you must get to pass vary by state. Check with your Real Estate Commission to learn more about your state’s requirements. If you take the exam on a computer, you’ll receive your results as soon as the exam finishes. Paper test takers will have to wait for their exams to be graded manually, and this can take a few weeks. You can retake the exam if you fail, but you must pay the exam fee again. Most states require you to wait at least 24 hours after your first exam before you can schedule a second one. There is no limit on how many times you can take the real estate exam; however, some states will require you to reapply after a certain amount of time has passed. For example, a California real estate sales agent application is good for two years. You can take the exam as many times as you need to during that two years and you’ll only have to pay the exam fee. After the two years are up, you must submit all new paperwork and retake the required education hours if you’d like to take the exam again. Do I need to retake the real estate exam if I’m already licensed in another state? This depends on which states are involved. The national portion of the exam applies to every state, so you won’t have to take this section again. 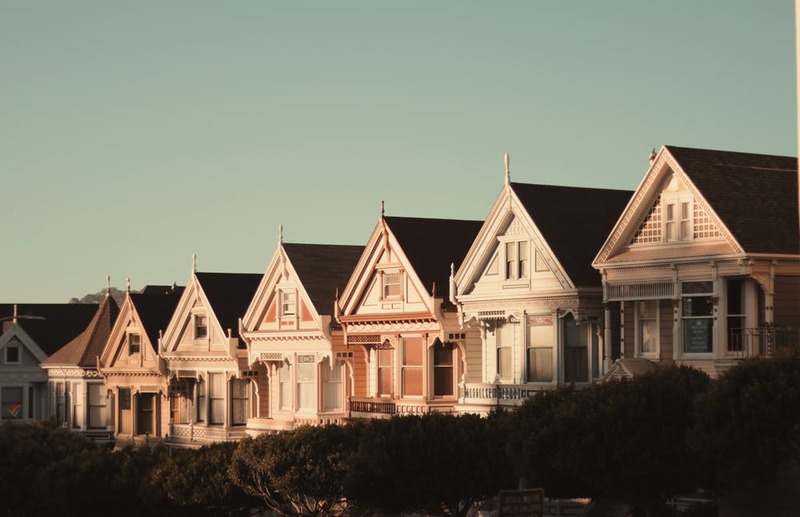 You will likely have to take your new state’s exam, however, to make sure you’re up to date on all the laws governing the buying and selling of property in that state. You may also be required to complete some additional education hours before you can apply. Some states, like New York and Pennsylvania, have reciprocal agreements, so real estate agents licensed in either state can easily become licensed in the other state. You still must pass the state portion of the real estate exam and pay the licensing fees, but there’s usually fewer hoops to jump through. States with reciprocity may waive the education requirements or enable you to take a shorter version of the state exam than a resident of a state without reciprocity. All states require new real estate agents to submit proof of their current license, fill out an application and pay the credentialing fee before they can begin to work in their new state. Double check with the state Real Estate Commission to make sure you’ve fulfilled all the requirements before doing so.